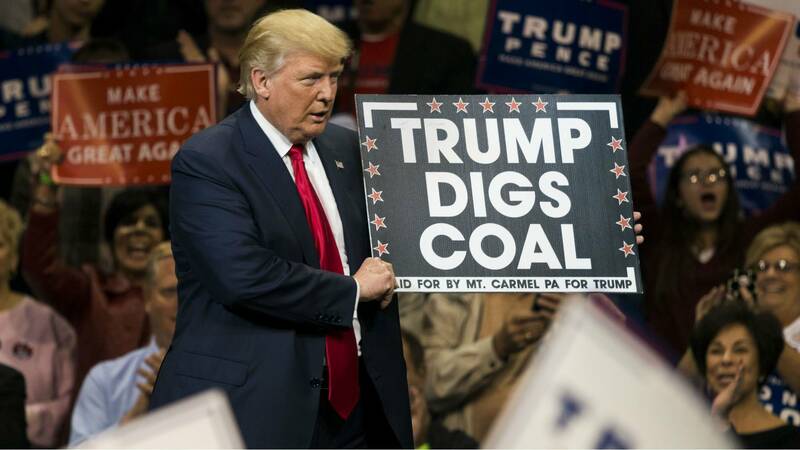 As reported at Fox News Insider, the first new coal mine has opened during the President Trump presidency in Somerset County, Pennsylvania, just outside of Pittsburgh. Check another one off the list of campaign promises for Trump. Who honestly thinks this ever would have happened had Hillary Clinton been elected? Clinton wanted to put coal miners out of business, much like the previous eight years of Obama. Does anyone really wonder why blue collar Democrats in states like PA, OH and MI voted Republican? President Trump lauded the opening of the nation’s first new coal mine in recent memory. Corsa Coal Company will operate the mine in Somerset County, Pa. – outside of Pittsburgh. Corsa CEO George Dethlefsen said the mine will be a boon to the struggling local economy. He praised Trump’s easing of regulations and encouragement for fossil fuel exploration. Dethlefsen told Leland Vittert that for the 70 positions available in the mine, 400 people applied. “It’s a hard day’s work every day, but it’s worth it,” one miner said. Hillary Clinton promises she is going to put a lot of coal miners and coal companies out of business and then comes to West Virginia and tells them lies that she cares about them. I will say this about Hillary, she has more CO-JONES than most men that ran for the presidency. However, once again we are shown that she is a pathological liar and a pandering politician. After making the comments, where she was not taken out of context, that she would shut down coal companies in West Virginia and put even more coal miners out of work, Clinton actually had the balls to go to West Virginia and tell them that she was their friend. This is the reason why Donald Trump does have a chance against Hillary Clinton. She is your typical lying, pandering politician which is exactly what the people seem to loath this election cycle. The people are sick of politicians saying one thing and then when they are confronted with the very people they affect, they change their tune and lie. Clinton is beholden the the environmental wackos, not the hard working coal folks of West Virginia, Kentucky and Pennsylvania. These are different times and the Democrat party does not even resemble what it once was, Once a Clinton stronghold, Appalachia now Trump country. “Those people” didn’t forget her either, or her words about putting them “out of business,” in part because Republicans had made much of her comment at the time. And on Monday, one of “those people” confronted her at a small roundtable event in Williamson, W.Va., in the heart of coal country. His name was Bo Copley, who described himself as an unemployed coal worker. Accompanied by his wife and a photograph of the couple’s children, he had a pointed question for Clinton: “How you could say you are going to put a lot of coal miners out of jobs and then come in here and tell us how you’re going to be our friend?” he asked, according to the Associated Press. Copley was variously described as “teared up,” “choked up” and “emotional” as he spoke. Listen to Whoopi Goldberg be the voice of reason on The View as she does not defend Hillary Clinton’s comments that we are going to put coal miners and coal companies out of business. However, the rest of the female shills for Clinton bent over backwards to defend Hillary’s comments. What a joke, these women, excluding Whoopi, have never seen a coal mine or a coal miner in their life and have never probably picked up a pick or got their fingernails dirty. Listen to them talk, like coal miners need to be taken care of. THEY WANT THEIR JOBS! And thanks to Obama’s war on coal, they have none. This is most likely the number one reason why you could see Donald Trump defeat Hillary Clinton is a general election. The government doesn’t have to do better by Bo’s family, they have to get out of the way and stop the over-regulation. Bo lost his job because of Barack Obama and his EPA. He told Americans he would shut down the coal industry when he ran for office, what did you think, he was joking? A Clinton presidency would want to make Bo and his fellow workers dependent on unemployment and the government. Billionaire liberal and so called climate change activist Tom Steyer, he was for coal, before he was against it. 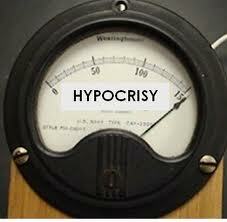 Define hypocrisy, see Tom Steyer. As reported in the New York Times this weekend, Tom Steyer, the most influential environmentalist in American politics, who has vowed to spend $100 million this year to defeat candidates through his PAC, NextGEN Climate, who oppose policies to combat climate change in fact made his billions by, hold it, hold it … investing in coal. You just can’t make this stuff up. But then again, one does not have to when it comes to the liberal, double standard Left. Steyer has been one of the main opponents of the XL Keystone pipeline. Talk about a complete loss of credibility. If Steyer is so strongly opposed to climate change and has basically made his fortune by increasing global warming (this is the Left’s philosophy) then why doesn’t he give all his money away? The mine’s groundbreaking, in a state forest this year, inspired a veteran to stand in front of a bulldozer and a music teacher to chain himself to a piece of excavation equipment. But the project had an unlikely financial backer in the United States, whose infusion of cash helped set it in motion: Tom Steyer, the most influential environmentalist in American politics, who has vowed to spend $100 million this year to defeat candidates who oppose policies to combat climate change. Mr. Steyer, a billionaire former hedge fund manager, emerged this election season as the green-minded answer to Charles G. and David H. Koch, the patrons of conservative Republican politics, after vowing that he would sell off his investments in companies that generate fossil fuels like coal. Much, much more on the hypocrisy of the Left and Tom Steyer from Power Line, who was reporting on this story long before the NY Times decided that the news was fit to print. THE HYPOCRISY AND DOUBLE STANDARD OF THE LIBERAL ENVIRONMENTALISTS … DEATH PANELS FOR EAGLES. Obama says OK to KILL Eagles for “Green Energy” … What say you Audubon Society, PETA, Sierra Club, Greenpeace, NRDC, Earth First, and “Spotted Owl” Gore? So not only does Obama pick winners and losers with regard to energy companies, he also picks who can kill and who can’t. The shameful new rule enacted by Obama’s Interior Department makes it possible for green energy companies to slaughter Bald and Golden eagles without penalty for 30 years. UNREAL. Big Oil harms some water fowl and these people lose their minds and talk about the evils of oil. However, Big Green Wind kills eagles and other birds and that is perfectly acceptable. What a fraud these liberal groups are that claim to protect the Earth and the Eco-system. As long as so-called “green” energy kills the symbol of the United States, that bis perfectly ok, but of coal, oil, gas injures a worm … then that is a national tragedy. This president will do anything to pander to his liberal base and make it all political. I would ask Mr. President, how is this fair to the Eagles? The Obama administration said Friday it will allow some companies to kill or injure bald and golden eagles for up to 30 years without penalty, an effort to spur development and investment in green energy. The change, requested by the wind energy industry, will provide legal protection for the lifespan of wind farms and other projects for which companies obtain a permit and make efforts to avoid killing the birds. An investigation by The Associated Press earlier this year documented the illegal killing of eagles around wind farms, the Obama administration’s reluctance to prosecute such cases and its willingness to help keep the scope of the eagle deaths secret. The White House has championed wind power, a pollution-free energy intended to ease global warming, as a cornerstone of President Barack Obama’s energy plan. According to the Washington Times, wind energy facilities have killed at least 67 golden and bald eagles in the last five years, but the figure could be much higher, according to a new scientific study by government biologists. Hmm, so why doesn’t Obama and his liberal environmentalists put the same type of restrictions of “killer” wind turbines that they do to the coal, gas and oil industry? 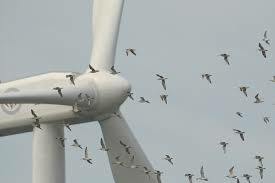 How come wind farm companies do not have to build protective cages around the turbines like a common fan has to protect birds from flying into the blades? This administration certainly has no issue with costly expenses when it comes to regulating other forms of energy. 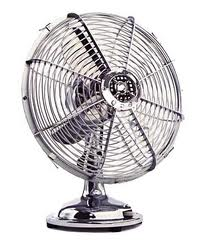 Just curious, why aren’t wind farm companies regulated to put protective covers over their blades like a common fan? More from Breitbart.com, It’s okay to kill Eagles because Obama said so. Wildlife conservationists are livid at the Obama administration’s approval of a new rule that extends wind farms leases up to 30 years. On Friday, wildlife protection groups decried the new regulation as a “stunningly bad move” that gives wind power companies the ability to kill eagles and other birds for the next 30 years. UPDATE I: The only one who has stepped to the plate is the Audubon Society. Interior Dept. Rule Greenlights Eagle Slaughter at Wind Farms, Says Audubon CEO … New Rule Will Authorize 30-Year Permits for Killing America’s National Bird. UPDATE II: From Right Wing News … All this carnage just to provide a pittance, a miniscule amount of energy. But because it is deemed “green” it is okay to make Eagles blood red. All to provide miniscule power while putting a blight on the landscape. Average delivered power is roughly 30-40% with very low power density (megawatts per square mile), since you need huge tracks of land/sea for the farm. 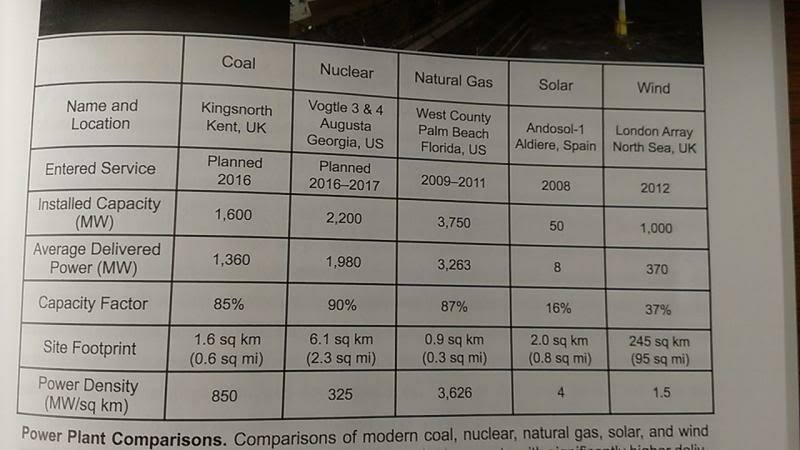 Compare that to natural gas, which has an average delivered power in the upper 80?s, with an extremely high power density. Remember when President Barack Obama spoke of the job recovery that was under way … Neither do most Americans! During Barack Obama first State of the Union Address in 2009 he stated the following: “It’s an agenda that begins with jobs. As soon… As soon as I took office.” Instead he focused 100% on passing Obamacare against the will of the people. According to the most recent CNN poll, not only is Barack Obama struggling with low job approval numbers and trust issues on Onamacare, with regards to the #1 issue facing Americas today, the economy, 59% things are going badly, only a mere 24% believe the economic recovery is under way. Exactly how long has Obama been making that promise? And instead of making jobs the number one issue, he goes out of his way to destroy jobs with over-regulation and his healthcare and energy agenda. Obamacare has caused business to fire individuals or reduce the jobs from full-time to part-time. An his energy policies are doing their best to destroy the coal industry in the United States. Americans views on the state of the nation are turning increasingly sour, according to a new national poll. And a CNN/ORC International survey released Friday also indicates that less than a quarter of the public says that economic conditions are improving, while nearly four in ten say the nation’s economy is getting worse. Forty-one percent of those questioned in the poll say things are going well in the country today, down nine percentage points from April, and the lowest that number has been in CNN polling since February 2012.Fifty-nine percent say things are going badly, up nine points from April. Besides an obvious partisan divide, which contributes to a urban-rural gap, the survey also indicates a difference of opinion between younger and older Americans. 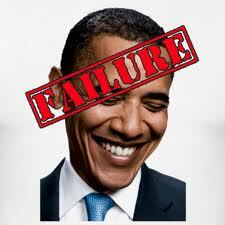 So its not just Obamacare that Americans are dissatisfied with Barack Obama. It is coming from all directions and at some point it will reach the point of no return, if it already hasn’t. Imagine what we could accomplish if we followed their example. Think about the America within our reach: A country that leads the world in educating its people. An America that attracts a new generation of high-tech manufacturing and high-paying jobs. A future where we’re in control of our own energy, and our security and prosperity aren’t so tied to unstable parts of the world. An economy built to last, where hard work pays off, and responsibility is rewarded. The very small business jobs that Obama is touting are the very one’s that Obamacare is destroying. But we have never measured progress by these yardsticks alone. We measure progress by the success of our people. By the jobs they can find and the quality of life those jobs offer. By the prospects of a small business owner who dreams of turning a good idea into a thriving enterprise. By the opportunities for a better life that we pass on to our children. You don’t need to hear another list of statistics to know that our economy is in crisis, because you live it every day. It’s the worry you wake up with and the source of sleepless nights. It’s the job you thought you’d retire from but now have lost, the business you built your dreams upon that’s now hanging by a thread, the college acceptance letter your child had to put back in the envelope.